A regular, quality skin care regimen is imperative for healthy, younger looking skin. You can wear all the pretty makeup you can buy and learn to apply it like a professional. The fact remains, if you don’t take care of your skin then none of that expensive makeup matters, really. You don’t have to spend an arm and a leg for quality skin care products, either. It all starts with the eyes. The eyes are the windows to the soul, and when our eyes look bad, our whole face can appear dull. I have broken down 10 very good (in my opinion) eye makeup remover products. Deciding which products are right for you, as well as finding ones that from a reputable company, can be a daunting task. Many products make outrageous claims at being the best. Everyone has a different type of skin. What works for one may not work for another. The benefits of a quality eye makeup remover are too important to ignore. With regular use, you can minimize the appearance of wrinkles, and even help your skin soak up some good vitamins and minerals. Washing your makeup off is also more hygienic. Sleeping in your makeup can lead to acne and infections, in particular infections of the eyes. Without further adieu, let’s take a look at some eye makeup removers so you can keep your face and eyes looking their best. When choosing what to put on this list, I used a few different factors. I went with customer reviews as the main indicator that a product should be added here. I also looked at the list of ingredients in each item to make sure they are good for the skin. I have listed these in alphabetical order, so this is not a ranked list. 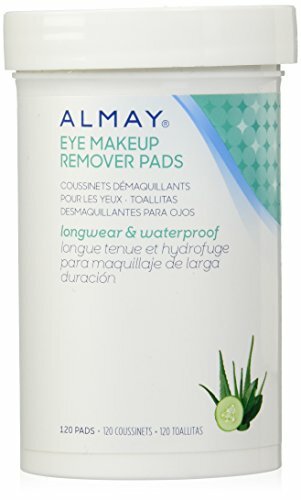 Almay has a great reputation for providing quality beauty products. 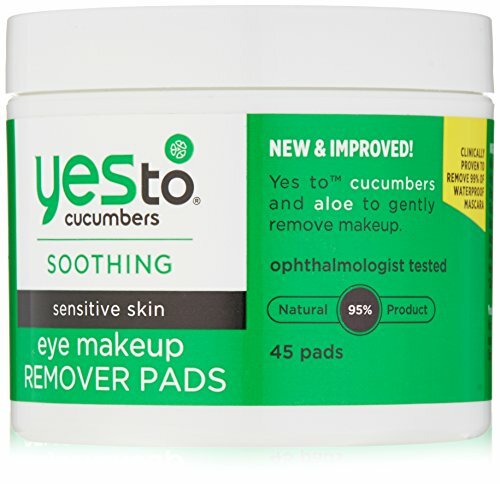 These eye makeup remover pads are fantastic for removing very stubborn waterproof makeup. The pads are a convenient way to quickly take off your makeup. If you’re a big fan of makeup remover wipes, then you’ll know why these have such a huge appeal. This product is fragrance-free so it won’t be irritating to sensitive skin. I did find that this is not a good product for all-over makeup removal, so stick to the eye area or you will have a somewhat greasy face. Avon is a tried and true brand with a loyal and ever-expanding customer base. With a company that has operated as long as Avon has, you can expect a certain quality in their products. The Avon Moisture Effective Eye Makeup Remover Lotion is touted as one of the best makeup remover lotions. The main ingredient is water, which is an essential main ingredient in any skin care product. This lotion is not bogged down with a lot of hard to pronounce ingredients, either. The following two after water are mineral oil and petrolatum. These ingredients help the product glide smoothly across the skin and the oil rubs the makeup off without irritation-inducing force. This lotion also conditions your eyelashes. This one is one of my personal favorites on the list. Aside from being great for your lashes and eyes, they also use ethical business practices. This company uses community fair trade sources and they never test on animals. This eye makeup remover contains Chamomile, which is a proven calming therapy for your skin as well as your nerves. The Body Shop Camomile Gentle Eye Makeup Remover is perfect for sensitive skin. The ingredients list on this one sounds a bit overwhelming, but when broken down, the ingredients make sense for what this eye makeup remover claims to do. Water is the main one on the list, followed by many surfactants, which aid in moisturizing and rebuilding the skin and smoothly removing eye makeup. Clean Eyes by Nature Lush is very safe for your skin. 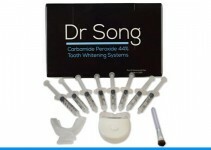 It claims to be non-irritating with no harsh chemicals. You don’t need to worry about rinsing it off, and it leaves your eyes feeling conditioned and smooth. This one is also fragrance-free. This seems like a top pick for anyone with sensitive skin and those prone to outbreaks. This product is free of mineral oil and parabens, which can clog pores. 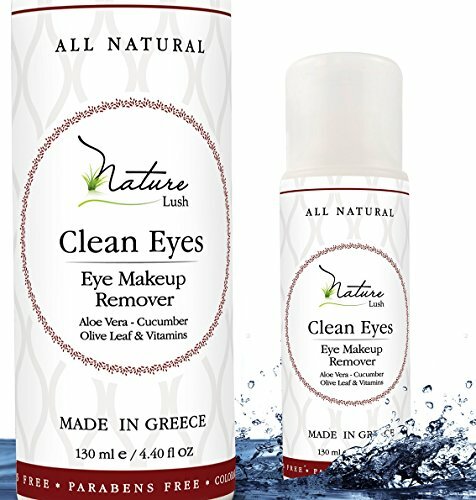 Some of the good-for-your-skin ingredients in Clean Eyes by Nature Lush are cucumber extract, olive oil extract, and aloe vera and vitamins. 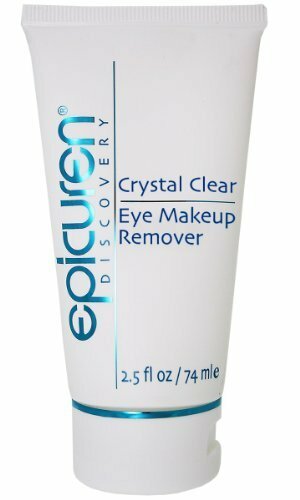 Epicuren Crystal Clear Eye Makeup Remover is a fragrance-free gel which nourishes and conditions your eyes and eyelashes. The ingredients list is kind of long, but upon close inspection of the ingredients, you will find some healthy and beneficial items in there. Vitamin E, grapefruit seed extract, and even calendula extract are infused into this smooth gel. The Face Shop Rice Water Bright Lip & Eye Makeup Remover will aid in brightening the skin around your eyes as it removes even the most stubborn waterproof makeup. The rice water that makes this up is very moisturizing and nourishing. The packaging is also very pretty. This product is great for those with dark circles around their eyes. Lancome has a great reputation for quality. 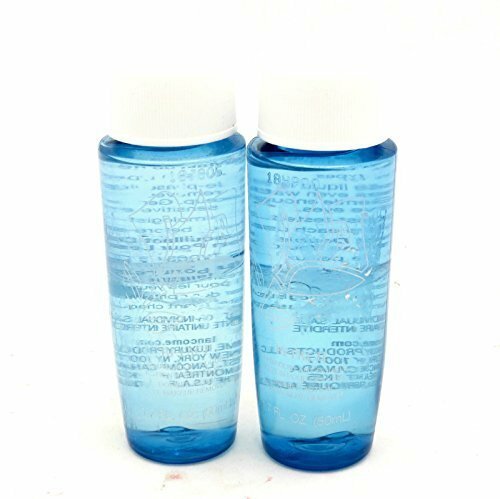 The Bi-Facil Double-Action Eye Makeup Remover is a liquid that provides a smooth glide over your skin. You will only need a small amount to remove even the most stubborn waterproof makeup. I don’t think this one is a good product to use if you have very sensitive skin, as it does have fragrance listed in the ingredients. 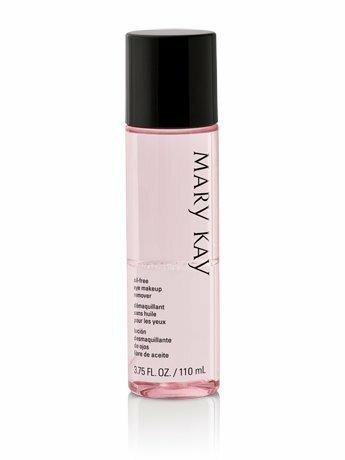 The name “Mary Kay” is synonymous with beauty products. Many of us have been to at least one Mary Kay party where we got makeovers and felt like a queen for a little bit. Or at least one side of your face did. This oil-free formula will remove the most stubborn of eyeliners and mascara, without leaving unpleasant residue behind. 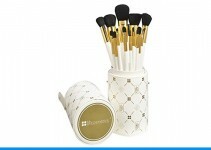 A tip I found while researching this item will help to remove your makeup more effectively. Shake the bottle, apply the product to a cotton ball, and then place it on your eye for about 10 seconds. Your eye makeup should wipe right off after that. When I think of Neutrogena, clean skin comes to mind. This oil-free formula is a popular mainstay among many products in the Neutrogena family. This is due to the simple, yet effective, formula that is gentle and soothing. Cucumber and aloe extracts give your skin a refreshed feeling. Water is the first ingredient listed, which is what you want to see in most beauty products. Everyone knows cucumbers are great for your body, inside and out. That’s why so many products contain cucumber extract, specifically for the eye area. Cucumbers can reduce puffiness and add hydration, which is why it’s so popular as a treatment. This product has a few beneficial extracts in the ingredients list(aloe and algae are also included), but water is the main one. These may not be great for sensitive skin due to having an added fragrance. I hope that I have been able to help you find the eye makeup remover that will be perfect for your particular skin type. I want this list to narrow down your options and take out some of the legwork. Deciding on a new skin care product can be kind of scary. Knowing your own skin (Do you have sensitive skin? Or do you have acne-prone or even really dry skin?) will help you determine which direction you need to go.